‘Nebraska’s Landmark Buildings’ Noon Program postponed until May 3. Due to a death in the speaker’s family, this program had to be postponed. We have rescheduled it on Thursday, May 3. 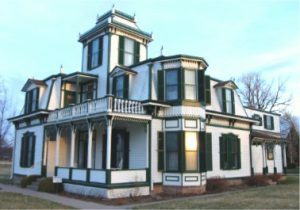 Historian and author Jeff Barnes presents “Nebraska’s Landmark Buildings” on Thursday, January 11, 12:00 p.m., at the library, 120 West 4th St., North Platte. The talk is sponsored by Humanities Nebraska. The talk is free to the public but the library requests seat reservations to help in room set-up. Please call the library at 535-8036, Ext. 3301.